Being the big foodie that I am, when visiting new places I’m always keen to find the best spots in town. 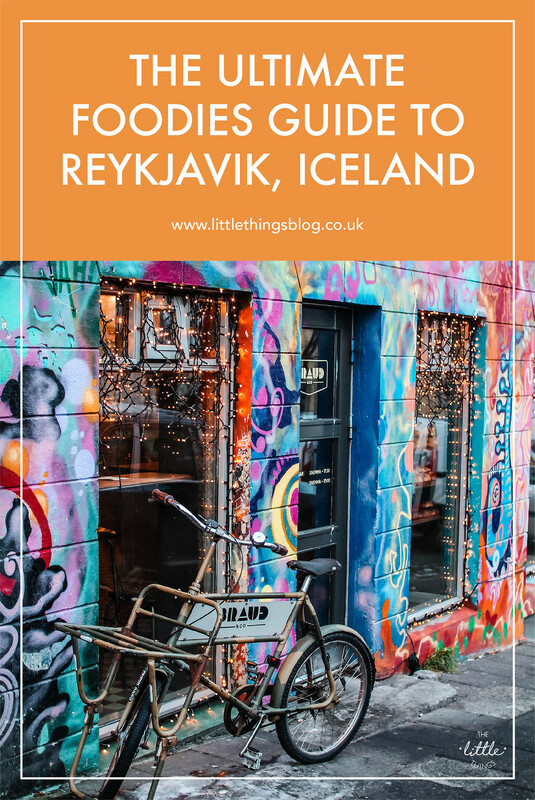 Reykjavik was no exception to this list, and when reading up on the most hygge-esque coffee shops and bakeries, I couldn’t wait to try them all. 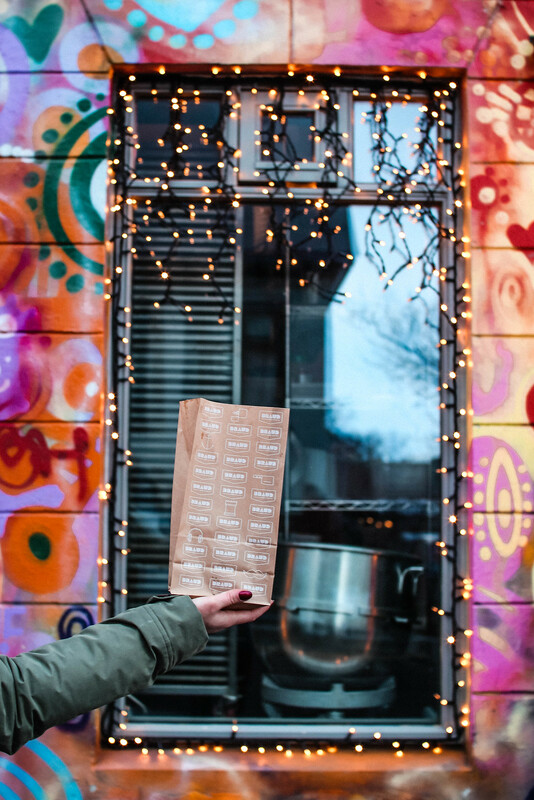 So without further ado, here's the ultimate foodies guide to street food in Reykjavik. I’ve never understood the people who don’t like to eat breakfast, or simply ‘forget’. Food is literally one of the first things I think of when I wake up, with the only thing my mind for our first day in Reykjavik? 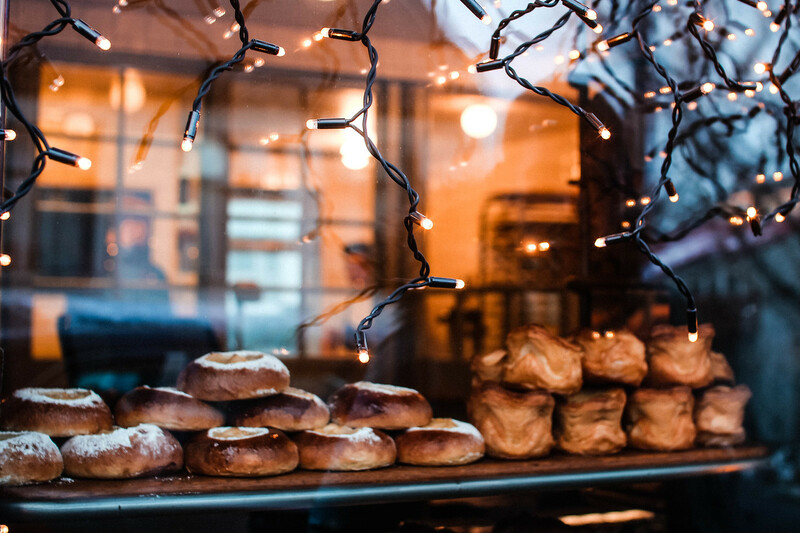 Pastries, specifically giant cinnamon rolls from Brauð & Co.
With rumours that Brauð & Co is one of Icelandic singer Björk’s favourite breakfast spots, it’s easy to understand why. With the allure of fresh bread wafting through to the street outside, a small orderly queue starts forming for tourists and locals alike eagerly awaiting their famous cinnamon rolls and artisan bread. This is possibly one of the coolest bakeries I’ve ever been in, priding themselves on no additives and just great fresh produce, Brauð & Co is definitely worth the hype. Not to mention it’s one of the most colourful buildings in Reykjavik. Be prepared to wait your turn for the cinnamon rolls, they’re giant and warm and wonderfully sticky. After all, perfection can’t be rushed. Offering a mix of Scandinavian and European inspired food, Sandholt was a great affordable place, perfect for brunch. It also offers a good range of vegetarian, vegan and gluten free menu options. 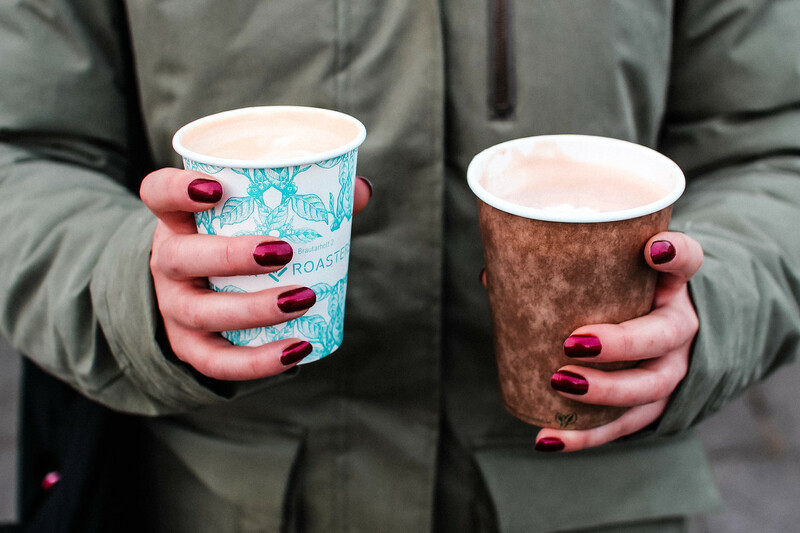 Be sure to try their fresh bread and pastries alongside a coffee to go in you're in a rush. Being so cold naturally ice cream is very common in Iceland. Although it might feel slightly odd picking out your scoops of frozen ice when it's -6C outside, it's not as weird as you think. 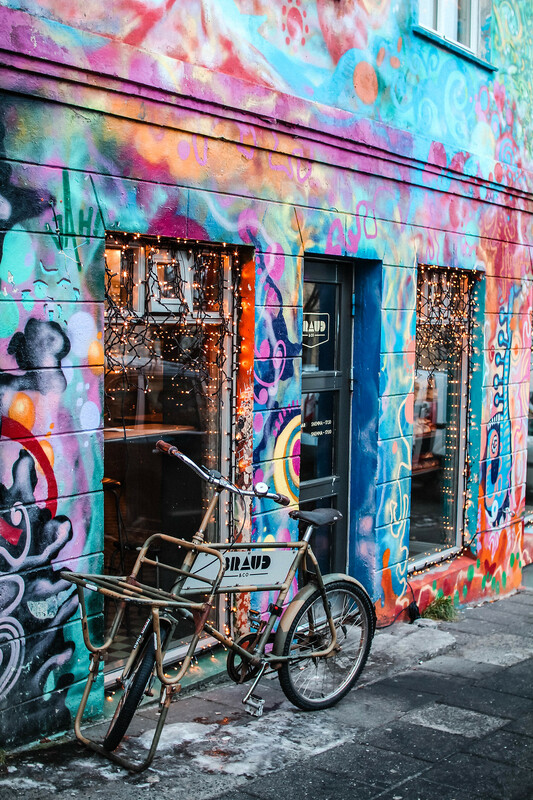 Ice cream parlours are incredibly popular all across Reykjavik, offering both a mix of traditional delights and more obscure treats such as rye bread ice cream. 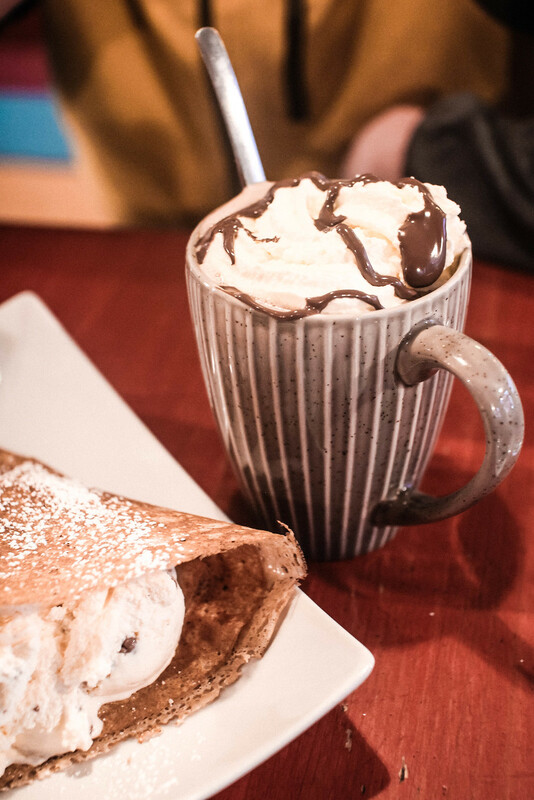 We headed to Eldur og Ís which is just off the main street near Hallgrímskirkja; trying their rye bread ice-cream in a crepe with a wonderful Nutella hot chocolate (who could resist!) delicious. 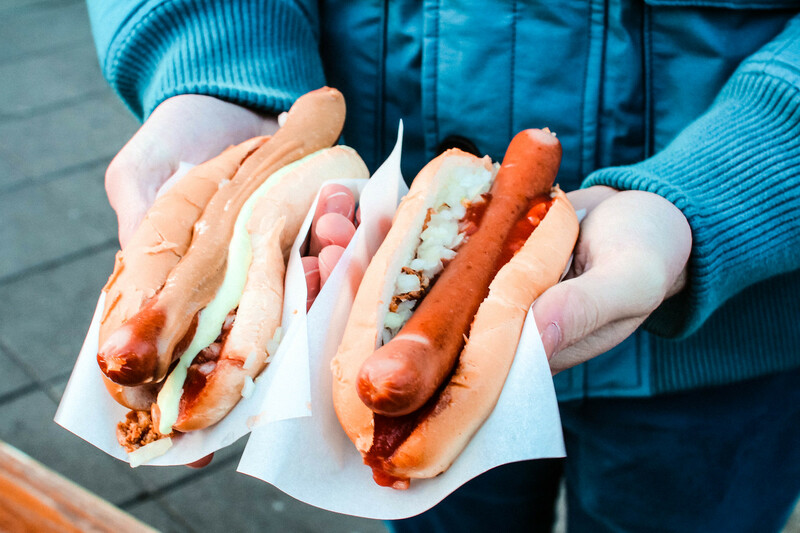 A small chain of hot dog stands, hot dogs are big business in Reykjavik. Around £4 per hot dog, they're one of the more budget friendly options of street food around and they taste great. 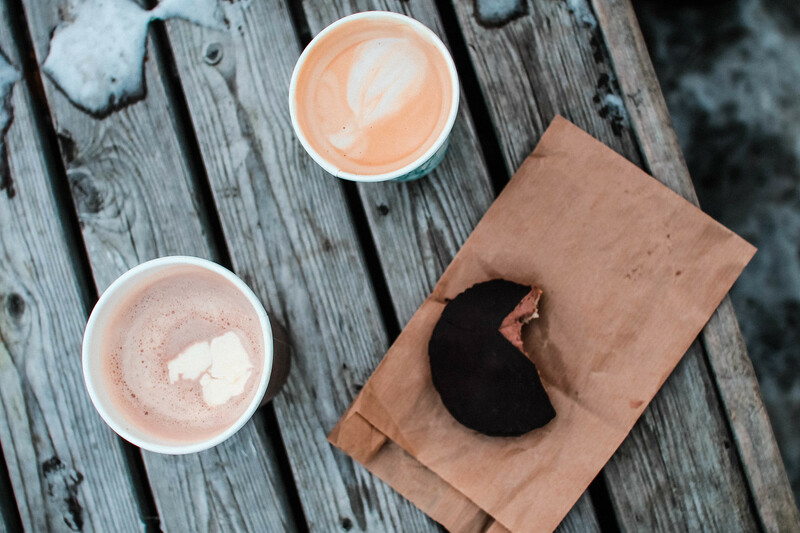 You'll find several dotted across the city, making for a quick and easy lunch stop along your way exploring. 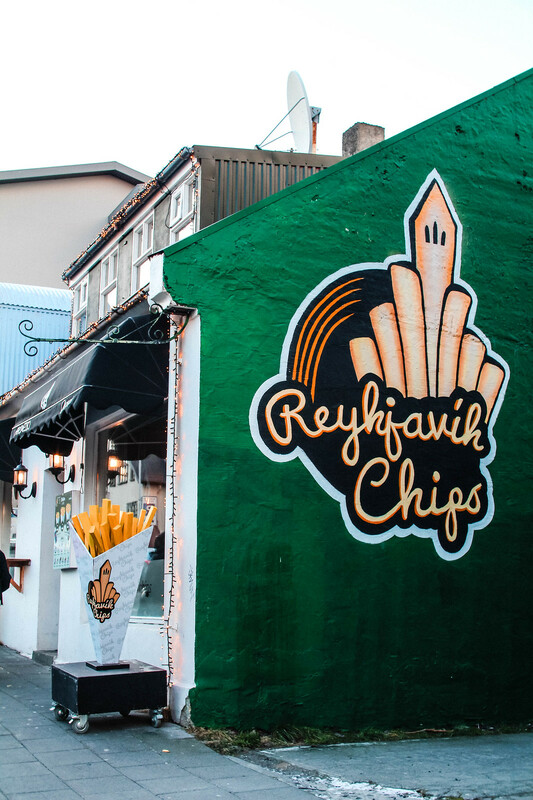 Quite possibly the coolest chip shop I've ever been into, Reykjavik Chip sells just that - chips. 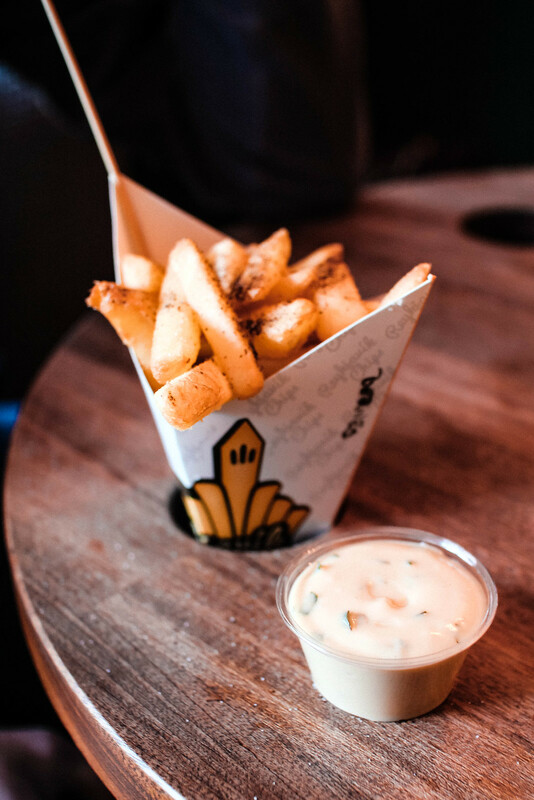 Unlike the greasy spoon connotations of a good old chippy back home in the UK, selling slightly questionable sausages or fish on the side; Reykjavik Chips offer you a selection of sizes, with sauce and beer or soft drinks on the side. With the interior lined with black and white photographs of rappers throughout history and a soundtrack to match, this is easily the coolest chip shop I've ever been to, with the best chips too! Arriving late in the evening into Reykjavik, we were both cold and hungry. So what better to warm us up than a good old fashioned bowl of soup? They know how to do soup well in Iceland, and visiting Svarta Kaffid didn't disappoint. In the centre of town and just a short walk from our apartment where we were staying at 105 - A Townhouse Hotel. They offer two soups daily, a vegetarian and a meat option. We both chose the Mexican bean soup of the day, served in a wonderfully freshly baked soup bowl with a selection of beers on the side. Cheap and cheerful, cheers! 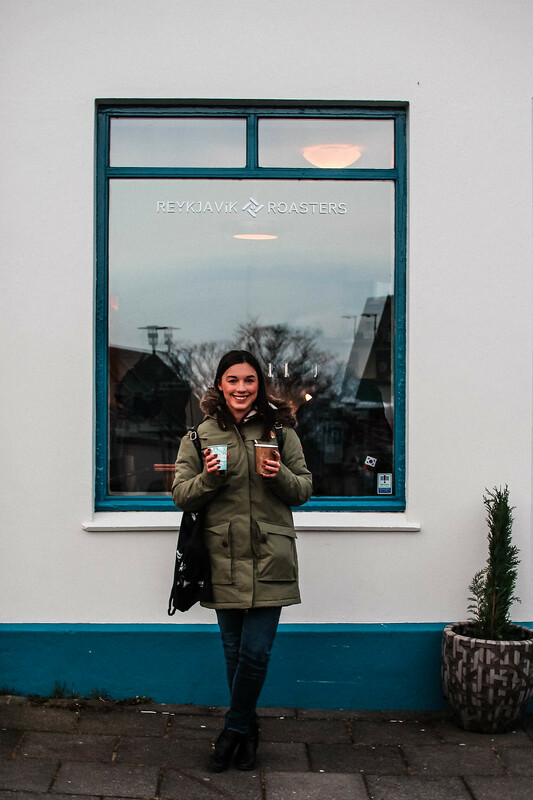 A hidden gem in Reykjavik, Bergsson Mathus has great portion sizes for the price and offers a range of healthy dishes perfect for refuelling after a long days exploring. Be sure to try their seafood platter for an authentic taste of Iceland, fresh from the days catch.